Supreme Court of India Today has held that an allegation of excessive force resulting in the death of any person by the Manipur Police or the Armed forces in Manipur must be thoroughly enquired into. The Two Judge Bench comprising of Justices Madan B Lokur and Uday Umesh Lalit also held that even while dealing with the ‘enemy’ the rule of law would apply and if there have been excesses beyond the call of duty, those members of the Manipur Police or the Armed forces who have committed the excesses which do not have a reasonable connection with the performance of their official duty would be liable to be proceeded against. The Bench was considering a writ petition under Article 32 of the Constitution of India by Extra Judicial Execution Victim Families Association and The Human Rights Alert. The petitioners claimed to have compiled 1528 alleged extra-judicial executions carried out by the police and security forces in Manipur. It is alleged that a majority of them have been carried out in cold blood while the victims were in custody and allegedly after torturing them. Petitioners alleged that not a single First Information Report has been registered by the Manipur police against the police or the security forces even though several complaints have been made in respect of the alleged extra-judicial executions. As a result of the failure of the Manipur police to register an FIR not a single investigation or prosecution has commenced and the cries of anguish of the families of the victims have fallen on deaf ears. The petitioners alleged that the victims of the extra-judicial executions include innocent persons with no criminal record whatsoever but they are later on conveniently labelled as militants. Earlier the Court had appointed Advocate Menaka Guruswamy as Amicus Curiae. to quell this internal disturbance, has there been use of excessive force by the Manipur Police and the armed forces in the 1528 cases compiled by the petitioners through fake encounters or extra-judicial executions during the period of internal disturbance in Manipur as alleged by the petitioners. has the use of force by the armed forces been retaliatory to the point of causing death and was the retaliatory force permissible in law on the ground that the victims were ‘enemy’ as defined in Section 3(x) of the Army Act? While considering the above questions, the Bench has made some remarkable observations. The Bench held that in any event, before a person can be branded as a militant or a terrorist or an insurgent, there must be the commission or some attempt or semblance of a violent overt act. A person carrying a weapon in a disturbed area in violation of a prohibition to that effect cannot be labelled a militant or terrorist or insurgent. Ordinarily Armed forces should not be used against our countrymen and women. 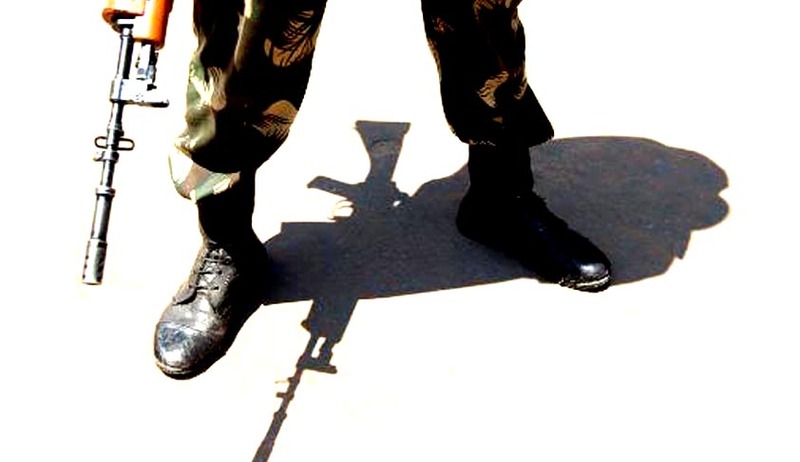 The Court has made it clear that, it is not possible to accept the contention of Attorney General that a person carrying weapons in violation of prohibitory orders in the disturbed area of Manipur is ipso facto an enemy or that the security forces in Manipur in such a case are dealing with an ‘enemy’ as defined in Section 3(x) of the Army Act. This writ petition alleging gross violations of human rights is maintainable in this Court under Article 32 of the Constitution. We respectfully follow and reiterate the view expressed by the Constitution Bench of this Court in Naga People’s Movement of Human Rights that the use of excessive force or retaliatory force by the Manipur Police or the armed forces of the Union is not permissible. As is evident from the Dos and Don’ts and the Ten Commandments of the Chief of Army Staff, the Army believes in this ethos and accepts that this principle would apply even in an area declared as a disturbed area under AFSPA and against militants, insurgents and terrorists. There is no reason why this principle should not apply to the other armed forces of the Union and the Manipur Police. We respectfully follow and reiterate the view expressed by the Constitution Bench of this Court in Naga People’s Movement of Human Rights that an allegation of excessive force resulting in the death of any person by the Manipur Police or the armed forces in Manipur must be thoroughly enquired into. For the time being, we leave it open for decision on who should conduct the inquiry and appropriate directions in this regard will be given after the exercise mentioned below is conducted. We respectfully follow and reiterate the view expressed by this Court that in the event of an offence having been committed by any person in the Manipur Police or the armed forces through the use of excessive force or retaliatory force, resulting in the death of any person, the proceedings in respect thereof can be instituted in a criminal court subject to the appropriate procedure being followed. (a) Of the 62 cases that the petitioners have documented, their representative and the learned Amicus will prepare a simple tabular statement indicating whether in each case a judicial enquiry or an inquiry by the NHRC or an inquiry under the Commissions of Inquiry Act, 1952 has been held and the result of the inquiry and whether any First Information Report or complaint or petition has been filed by the next of kin of the deceased. We request the NHRC to render assistance to the learned Amicus in this regard. We make it clear that since a Magisterial Enquiry is not a judicial inquiry and, as mentioned above, it is not possible to attach any importance to Magisterial Enquiries, the tabular statement will not include Magisterial Enquiries. (b) The representative of the petitioners and the learned Amicus will revisit the remaining cases (1528 minus 62) and carry out an identical exercise as above. This exercise is required to be conducted for eliminating those cases in which there is no information about the identity of the victim or the place of occurrence or any other relevant detail and then present an accurate and faithful chart of cases in a simple tabular form. The Court has further directed to post the Case for further proceedings after Four weeks.